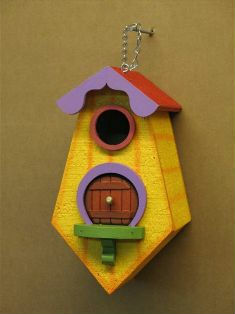 Each brightly colored house can be either hung by the chain or attached to a post or tree. 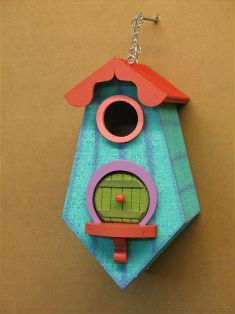 The entrance hole is 1-1/2 in size that works well for smaller birds while keeping larger birds out. Door does not open. Access for cleaning by loosening screw on back to release bottom panel.